Sherlock Holmes liegt im Sterben (Sherlock Holmes is Dying) is the 1st episode of the German TV series Die Galerie der großen Detektive (The Gallery of the Great Detectives) aired on 30 november 1954, written and directed by Peter A. Horn, produced and distributed by ARD  and SWF , starring Ernst Fritz Fürbringer as Sherlock Holmes and Harald Mannl as Dr. Watson. 39 min. 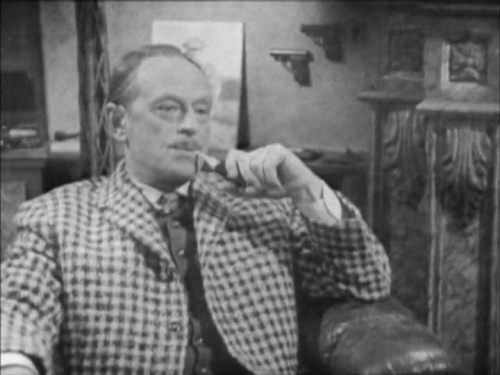 The episode is an adaptation of Arthur Conan Doyle's short story : The Adventure of the Dying Detective (1913). 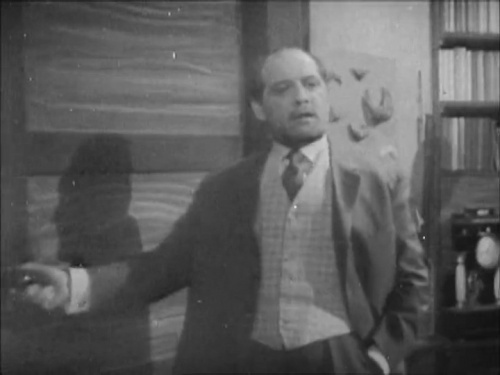 The episode is considered lost so far, only an extract remains known (see video below). This page was last edited on 9 March 2019, at 23:25.